The new version of our mouse emulator – NeatMouse 1.02.060 – has been released today. 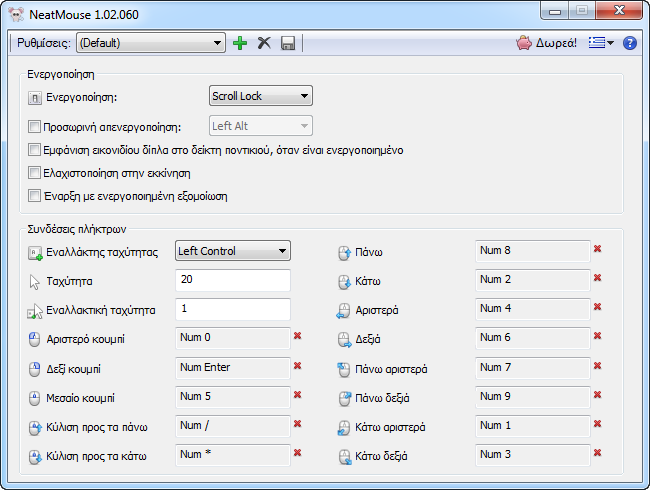 While this version of NeatMouse is mostly a technical release in preparation of new awesome features, we’ve also included a new translation in Greek language, created by our users from www.geogeo.gr. Thank you very much for this! Bright and happy spring for everyone!